Bracknell Town are bearing down on top spot in the Uhlsport Hellenic Premier League after a 5-0 win at bottom side Burnham. Adam Cornell scored four – one from the penalty spot – and Joe Grant also chipped in as the Robins made light work of the Bucks side. Binfield continued their unbeaten run with a 1-1 draw in Gloucestershire. 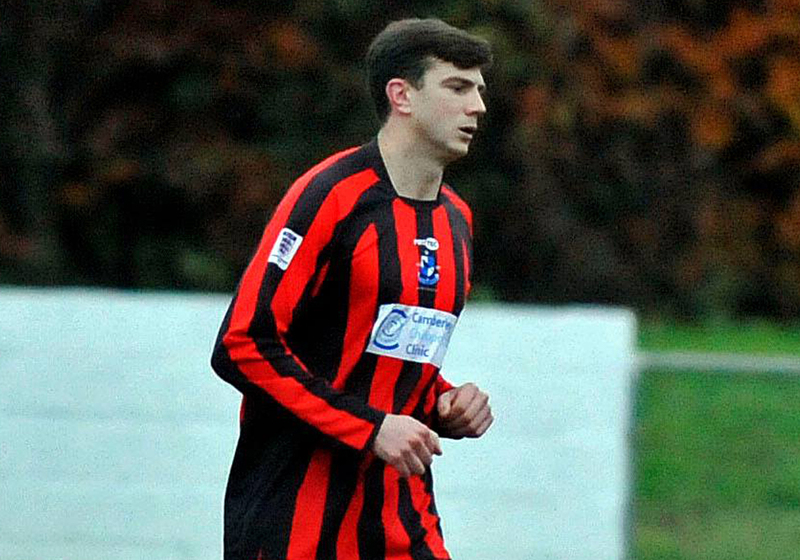 The Moles led Brimscombe & Thrupp 1-0 through Sean Moore but the Lilywhites hit back. Ascot United suffered yet another late setback with Flackwell Heath winning 1-0 with a 93rd minute goal. In Division 1 East Finchampstead take the headlines with a 2-1 win at third placed Bicester Town thanks to a Harry Swabey double. There was a positive result as well for Sandhurst Town who won 2-1 at Headington Amateurs. Billy Bryce getting both the goals for the Fizzers. Wokingham & Emmbrook were held to a 1-1 draw at Chalfont Wasps – Jake Wheeler scoring for the Sumas while AFC Aldermaston were beaten 2-1 at Rayners Lane. And finally, in the Thames Valley Premier League Berks County suffered a second successive defeat, going down 3-2 at Mortimer. Main image: Carl Dennison saves a penalty for Ascot United by Mark Pugh.